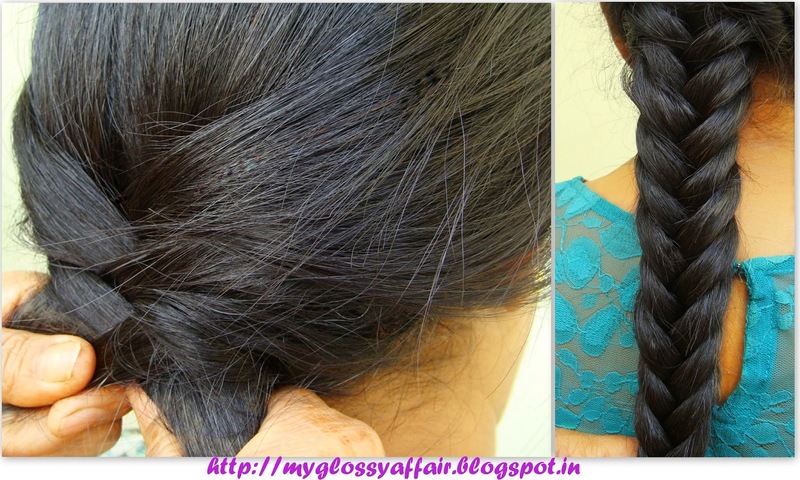 Today, I am going for a braided hairstyle. 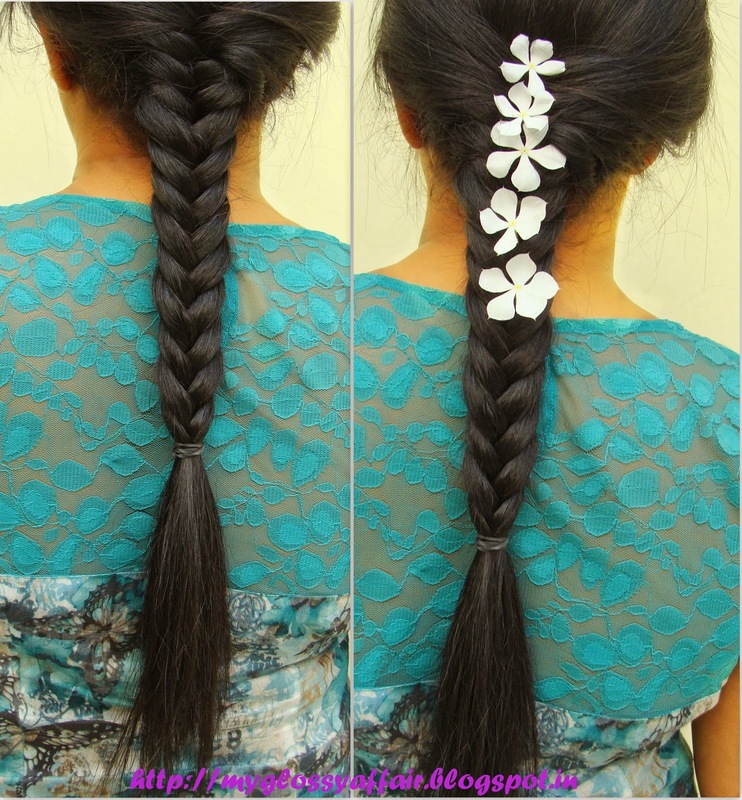 This is a very simple to do fishtail braid which we commonly call as ‘Khajoori’. 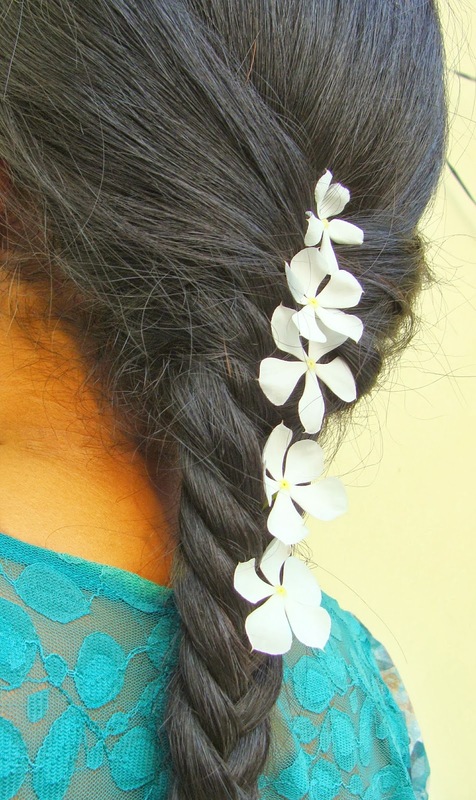 I am doing a simpler version of khajoori as basically this braid has very small sections of hair that are braided, that are not easy to do by ourself. But, in my version, I have taken a little bit bigger sections of hair. That looks equally beautiful but becomes less time consuming and we can do it ourself too :). Part hair into two sections. 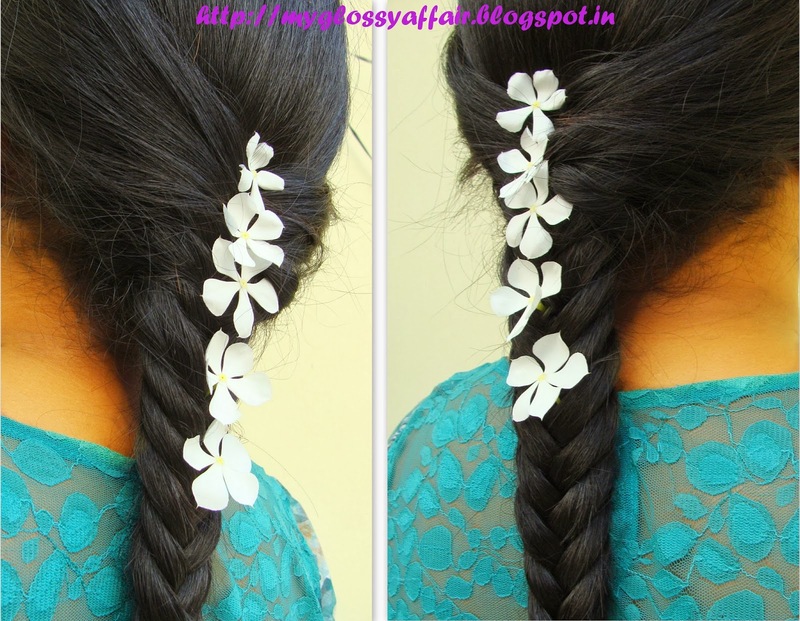 Like normal braids, this one doesn’t need three sections. 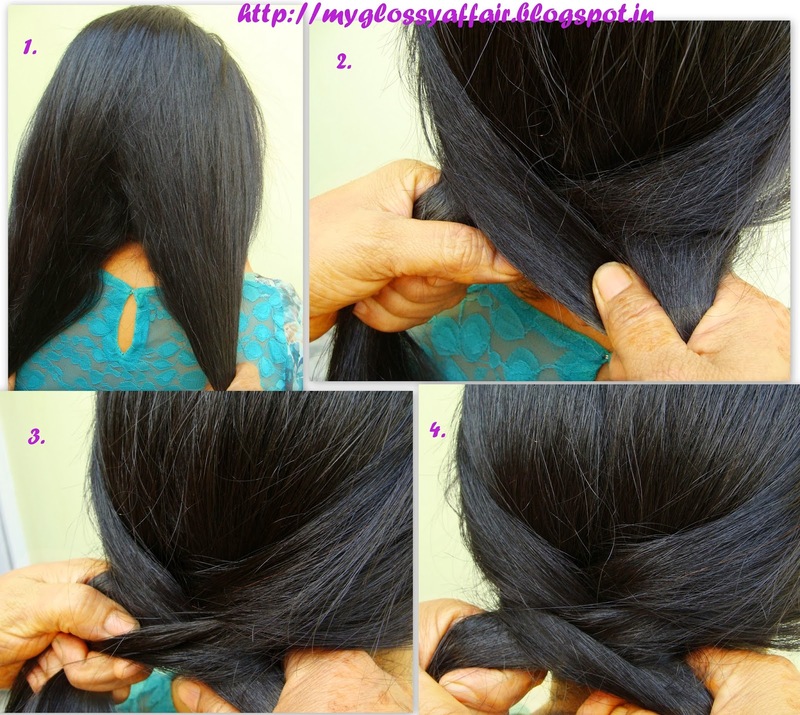 Take small sections from both sections and start the braid. Accessorize the way you like it. Some beads or flowers or any accessory you like. Do let me know your views on this.